New York, NY, June 10, 2012 --(PR.com)-- Alexandra Ares was named the winner of the Next Generation Indie Awards in the best novella category for The Other Girl, published by Smart Media New York. 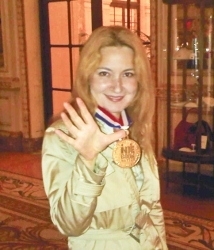 Ms. Ares was presented with a Gold Medal by the Independent Book Publishing Professionals Group at a reception at the Plaza Hotel in New York on June 4th. The event also marked the kick off of Book Expo America 2012. A novelist, screenwriter, playwright, TV producer/director, and publisher of Manhattan Chronicles, Romanian born Ares has been living in New York City since 1997. She is the author of the satirical novel My Life on Craigslist (Award Winning Finalist of Best Books USA for Women Fiction & Chick lit 2011) and of the novel Dream Junkies, both translated to Romanian and published by Polirom, the leading publishing house in Romania, where they hit the best seller lists. The Other Girl is a bare, slim, literary novel written in a minimalistic style and telling the story of a conversation. Told over late night drinks, the story evokes the magic of the movie Before Sunrise and the ironic wit of Woody Allen. The book is available for sale on paperback and e-book on Amazon, B&N and all other e-channels. "I am thrilled to receive this award from the independent publishers community and I would like to take this opportunity to thank them for this big honor," said Ares. 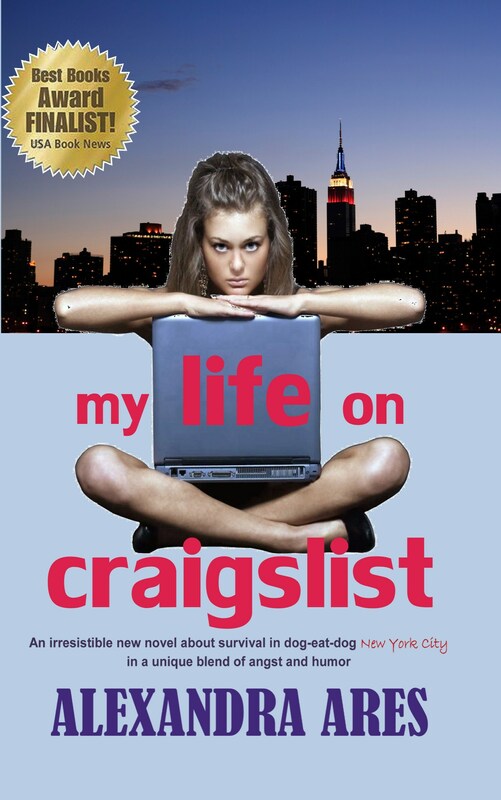 "I hope this award will convince readers to give my short novel a try." The Next Generation Indie Book Awards is the largest Not-For-Profit book awards program for indie authors and independent publishers. In its fifth year of operation, the Next Generation Indie Book Awards was established to recognize and honor the most exceptional independently published books in 60 different categories for the year, in a market of about 1 million new books per year. It is presented by Independent Book Publishing Professionals Group (www.IBPPG) in cooperation with Marilyn Allen of Allen O’Shea Literary Agency.